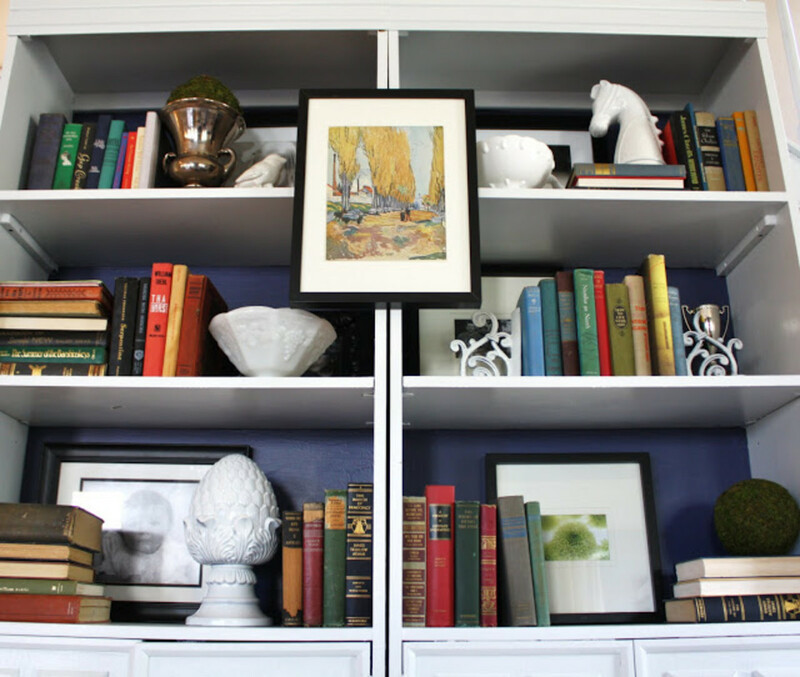 Bookshelves not only provide library space and additional storage they’re also an ideal place to display your favorite decorative treasures and heirlooms. A perfectly styled bookshelf is a thing of beauty. Nothing gives a room more character than a bookcase, wall shelves or a built-in unit artfully accessorized with books and collectibles. In addition, bookshelves give others a peek into your psyche and are a reflection of your personality and interests. Here are a few expert tips to create magazine-worthy bookshelf arrangements you’ll be proud to share with the world. 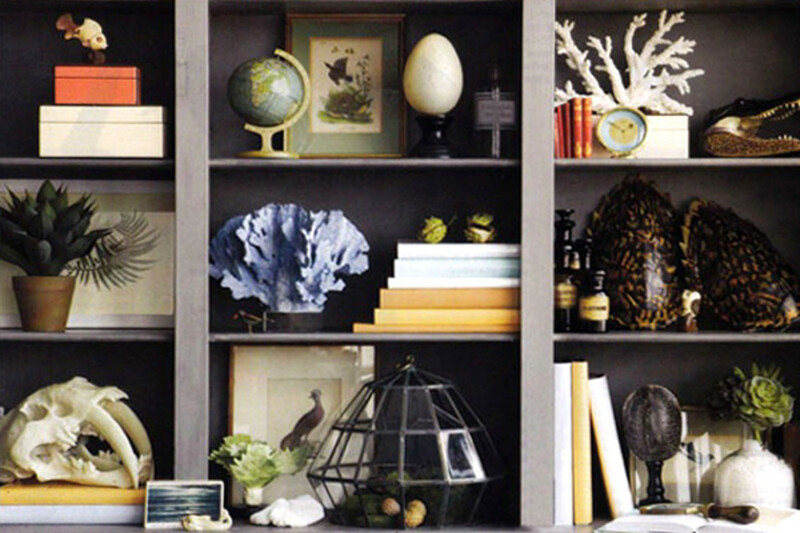 Styling a bookshelf is not unlike putting together a stylish outfit. Carefully “dress” the shelf in layers instead of throwing everything at it one time. 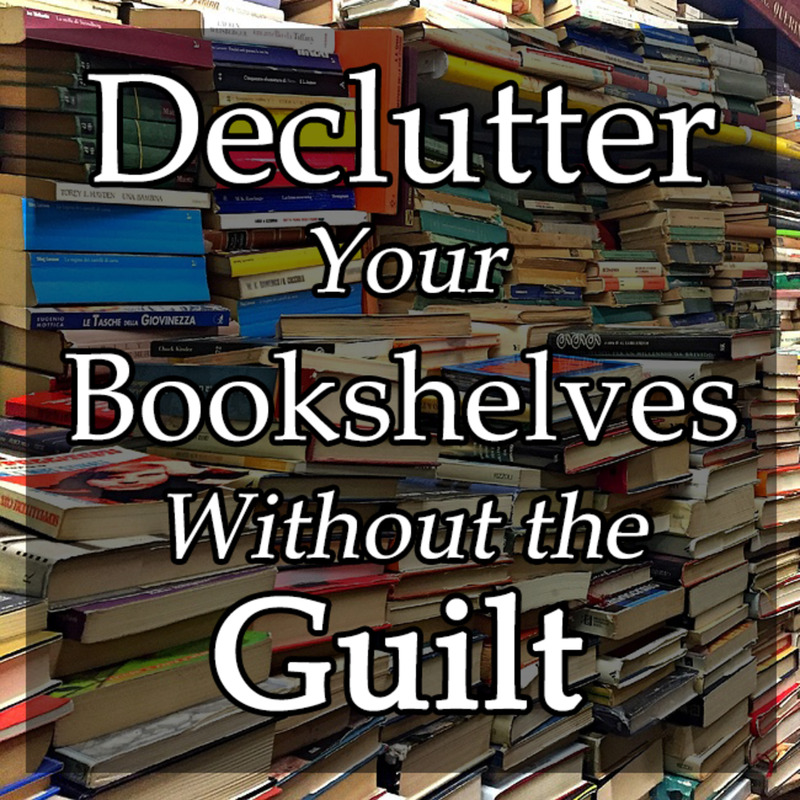 Before you begin, cull your objects to keep the shelves from becoming cluttered and chaotic. If you’re so inclined, create a dramatic setting by covering the back wall of your bookshelves with a coat of paint, wallpaper or fabric. If you are a serial decorator who likes to constantly change things up consider using temporary wallpaper or apply fabric dipped in liquid starch for easy removal. 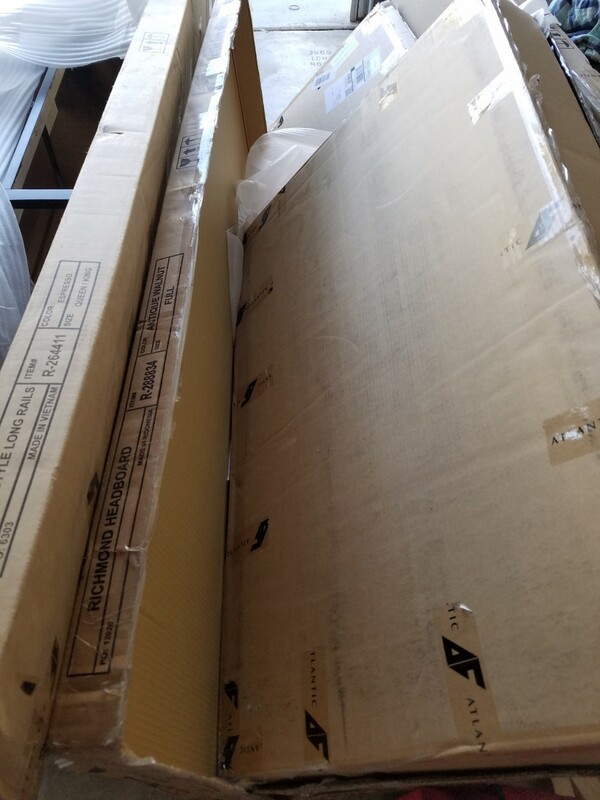 If you prefer not to paint the bookcase buy a sample of your new favorite color, paint a sheet of foam core, cut it to size and place it on the back of the bookcase with double-sided tape. If you're a voracious a reader you could completely fill your shelves with books--but resist the urge. Choose your favorites, remove the dust jackets and spread them out over several shelves stacking the books both horizontally and vertically to create visual interest. Don’t forget to leave room for other objects. If you are OCD or just appreciate a sense of order you can arrange your books by color or make dust jackets of a single color with wrapping paper or even butcher paper. If you are more of a maverick lump all the rainbow colors together and start arranging. Use a mix of objects to add scale, texture and contrast. Mixing colors and textures make your styling appear effortless. 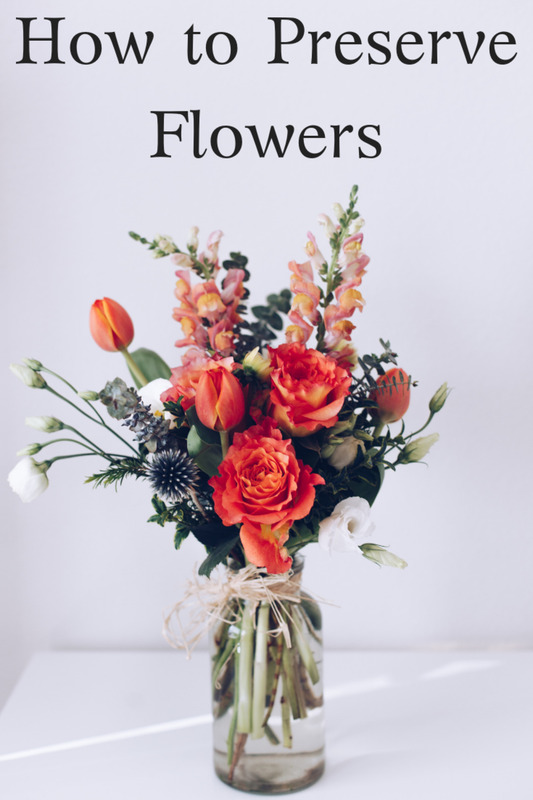 Decorative objects like vases, bowls or boxes create flow. Next mix in objects with personal meaning such items from exotic travels or family keepsakes. Plants and natural shapes like seashells, geodes or rattan orbs give your curated collections an organic feel. 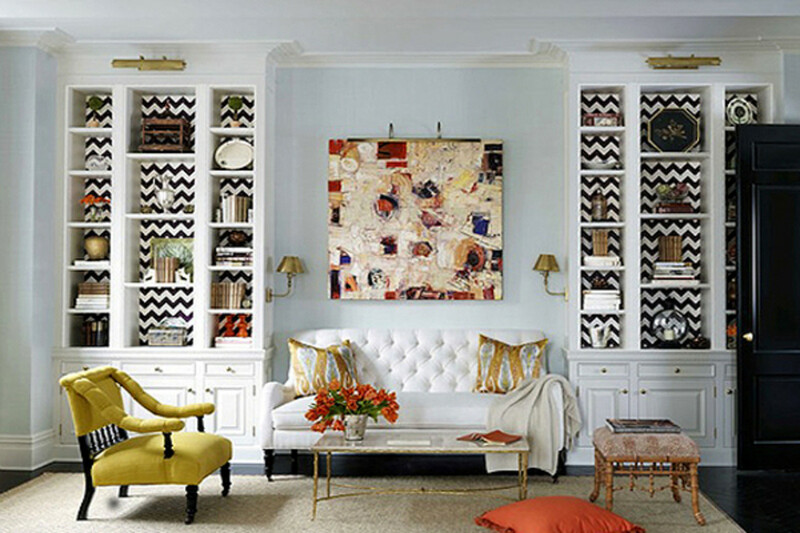 Artwork is one thing most people forget when it comes to styling bookshelves. 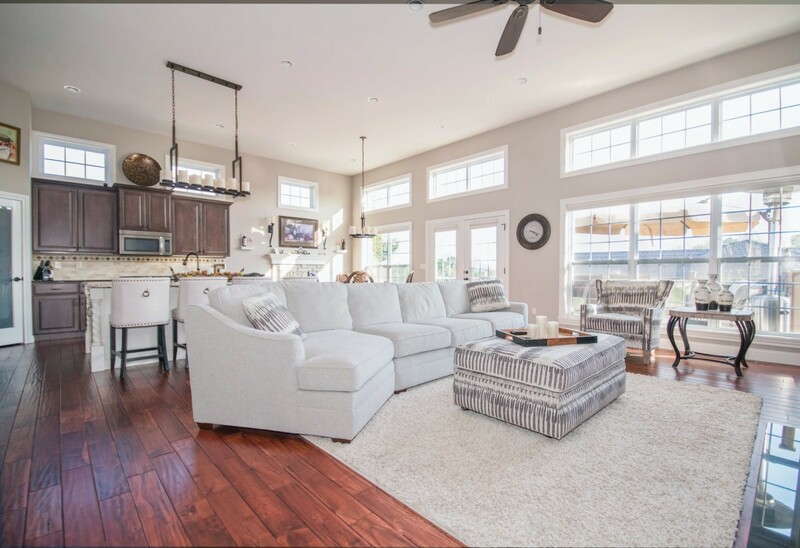 Insert small framed images and photos among the shelves or you can hang large pieces of art from the edges of the shelves giving your room the look of a cozy den. If you have a lot of shelves, art takes up a great deal of space, which makes your job of accessorizing a lot easier. 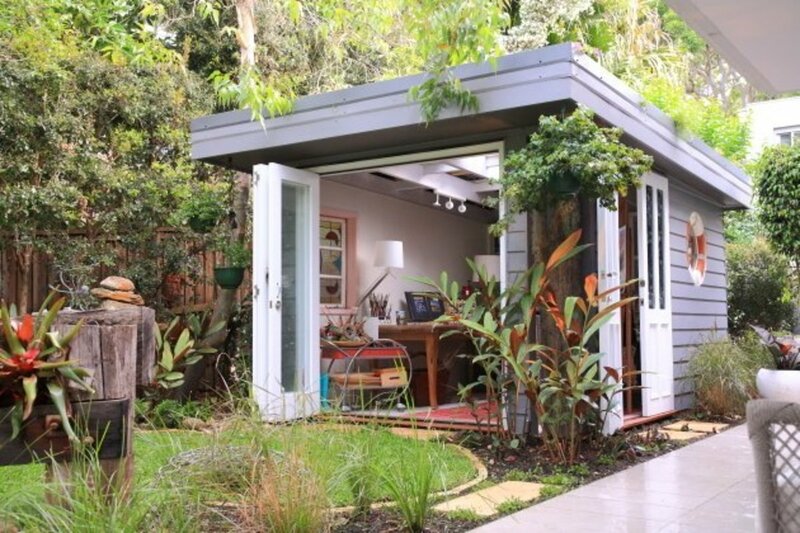 As you move into decorative objects, remember this tip from interior designers. Groups of objects look best when placed in groups of three or odd numbers. It’s a bona fide design principle! 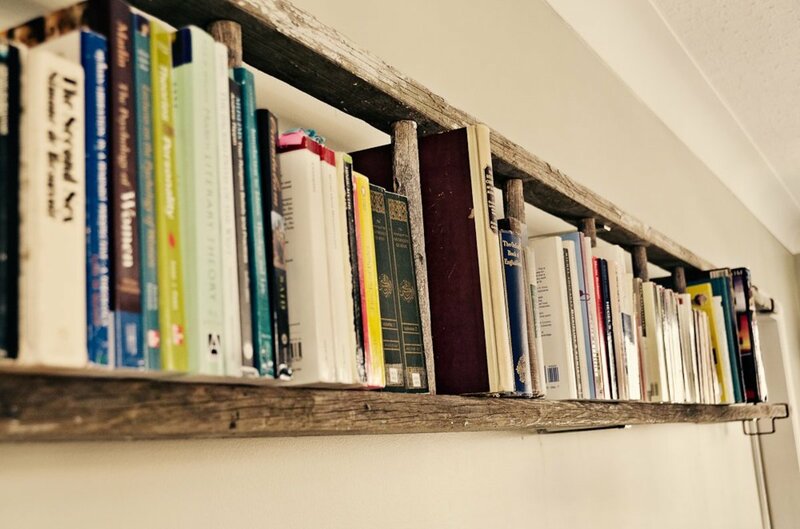 Stick with three or five items--any more will make your bookshelves look more like store shelves. If you have a few small cubbies it’s quite fine to display a single object rather than trying to create a grouping in a tight space. 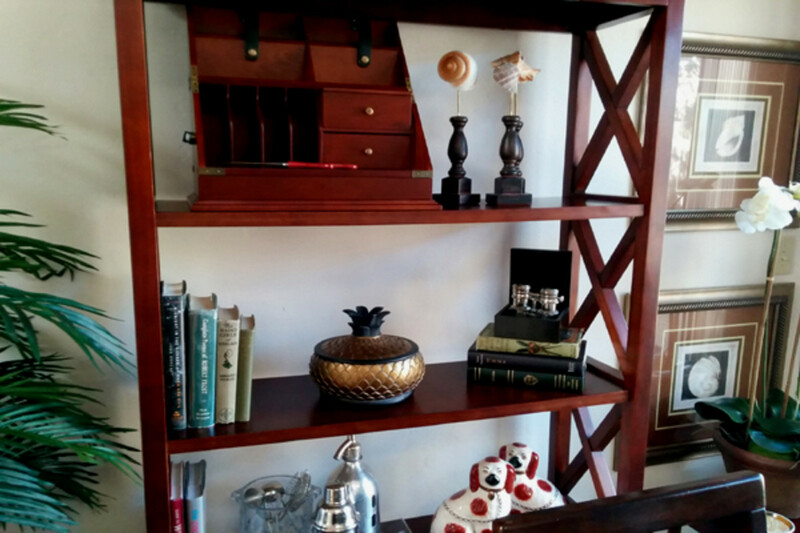 In any arrangement you need to allow the eye to move smoothly and freely about the shelves by maintaining a sense of space around decorative objects. 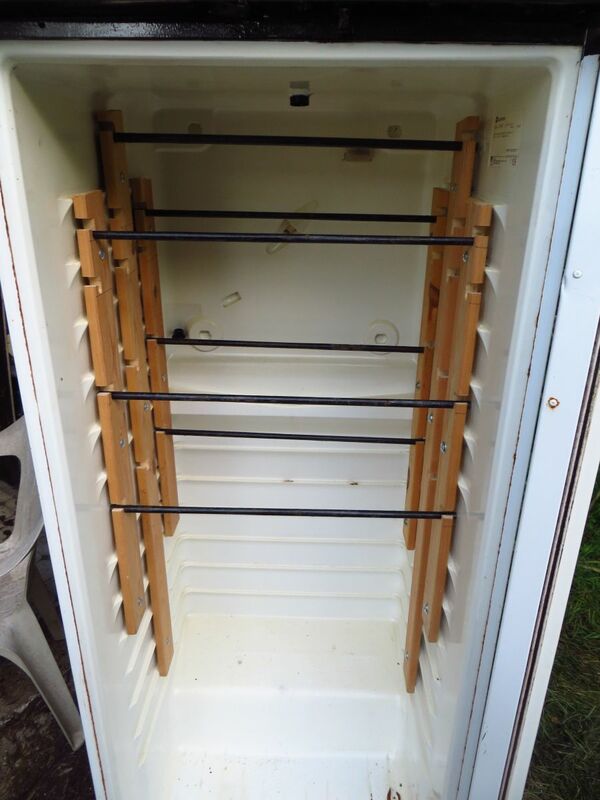 This will also keep your collections from looking messy. 1. Add color. 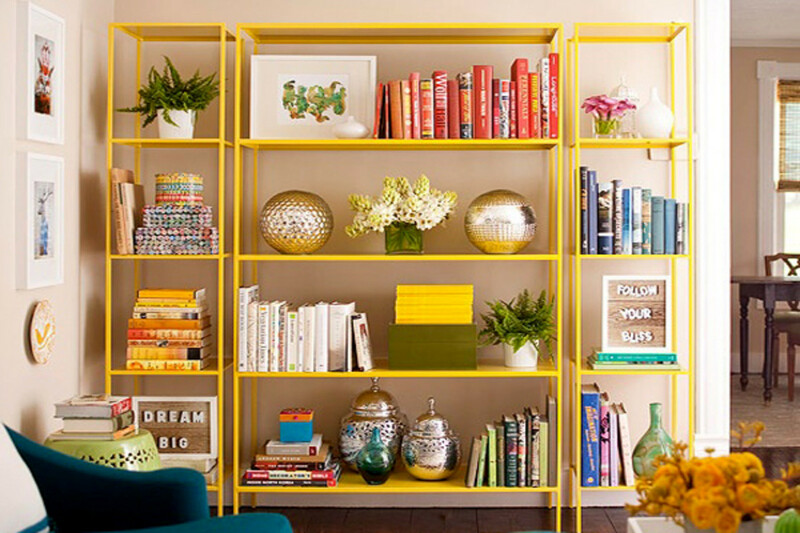 Pick a color scheme so your bookshelf will look cohesive based on a color story will run throughout the shelves. 2. Don’t forget books. Although it seems obvious the shelves will look even more stylish by placing books on them. 3. Display artistic forms. Make a statement with sculptural objects. 4. Bring in texture. 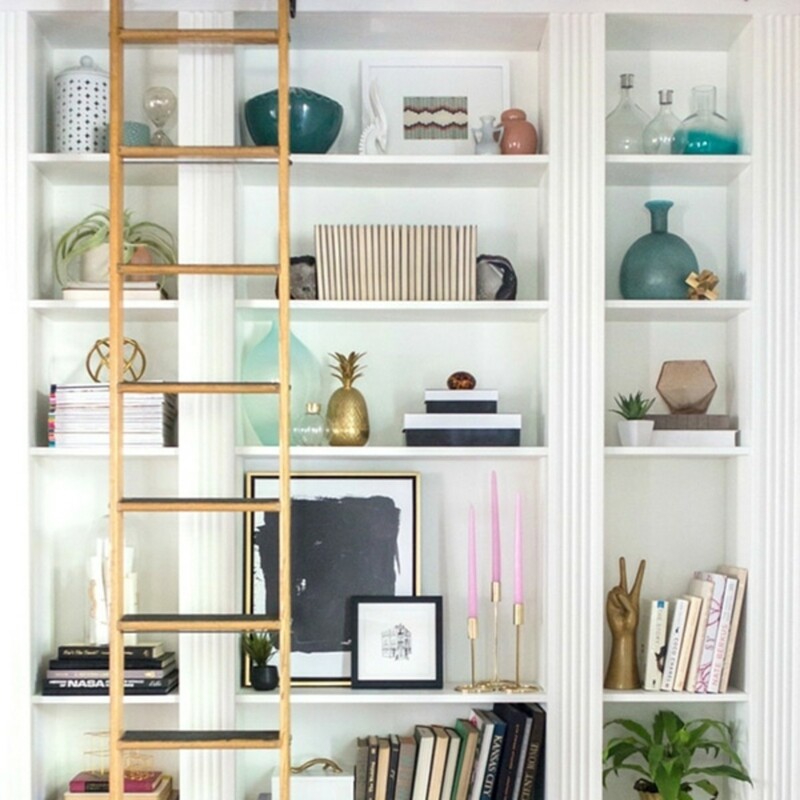 Create balance on the shelves with smooth, rough and shiny items. 5. Layer things. Make groupings by placing large items in the back and layer small pieces in front. 6. Use unusual frames and art. Chrome, glass and wood frames can feature travel photos, pretty wrapping paper, a foreign book page or a cute cartoon. 7. Store functional things. Place decorative bins on the bottom shelves to hold practical items that aren’t terribly attractive. Emmy ali, it's so much fun to style bookshelves. It is just like any kind of artistic creativity. Thanks for the nice comment. So beautiful ideas of bookshelves, and very important tips. You have encouraged me to rethink my bookshelves. There often seems to be something missing when I visit homes with no bookshelves. Hotels are increasingly adopting the open plan lobby concept, using bookshelves with interesting books and òther objects on them to split up the areas.